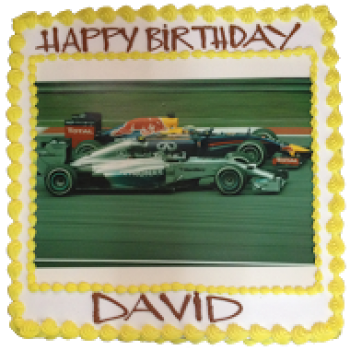 A number birthday cake with edible picture. 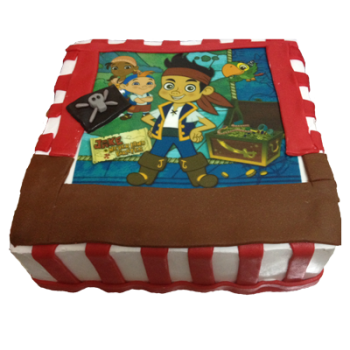 Available in chocolate mud or brownie or vanilla or banana & choc . 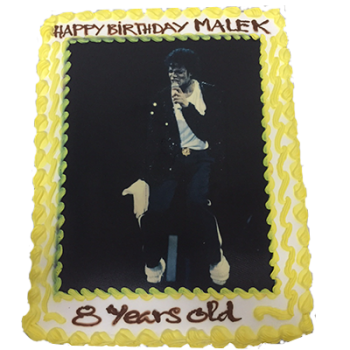 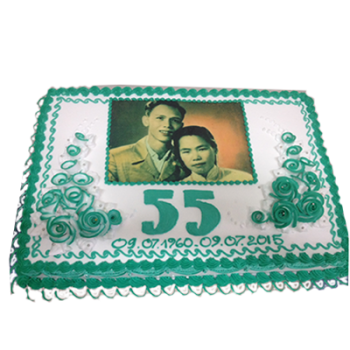 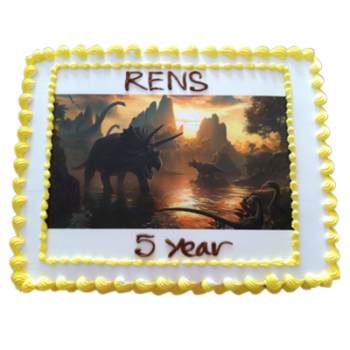 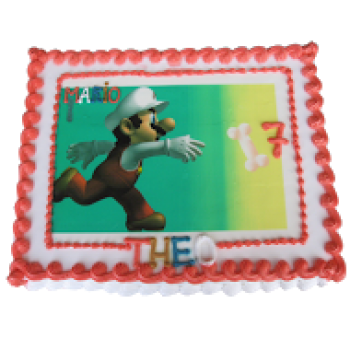 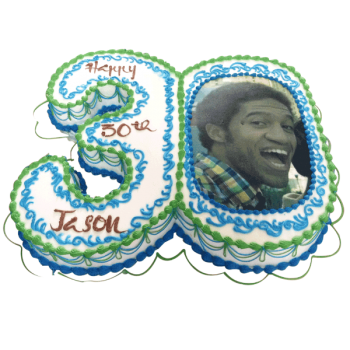 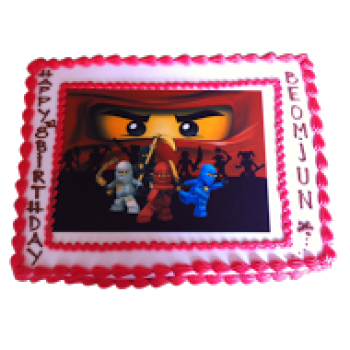 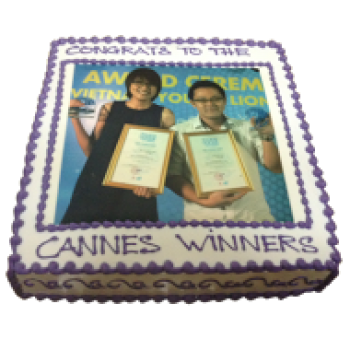 A great way to enhance your celebrations and moments of happiness with pictures on cakes. 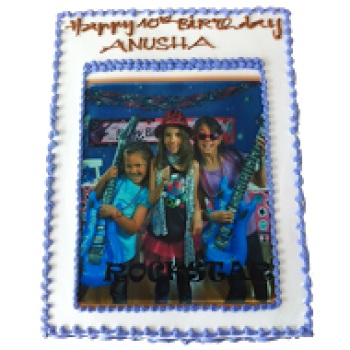 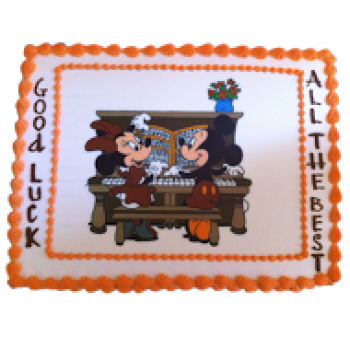 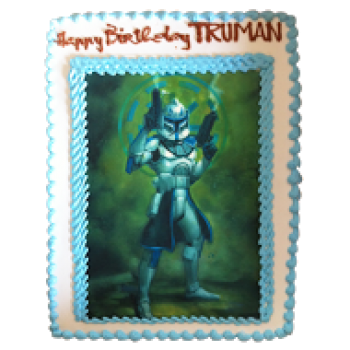 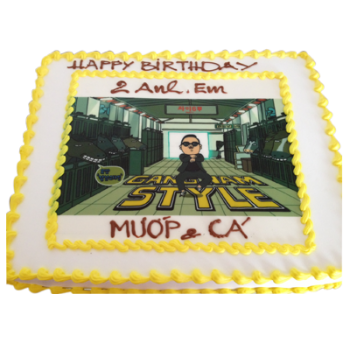 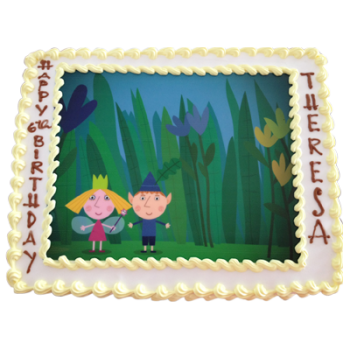 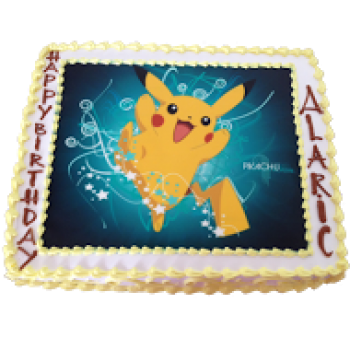 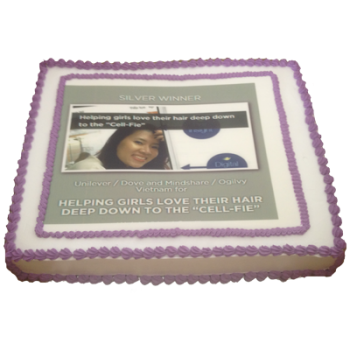 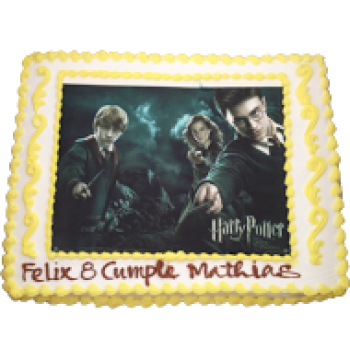 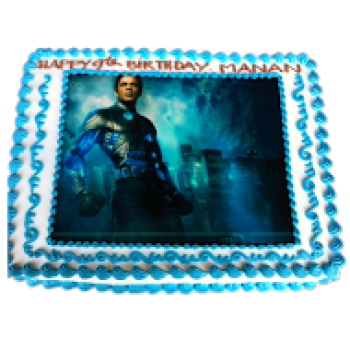 A great way to enhance your celebrations and moments of happiness with a picture on a cake. 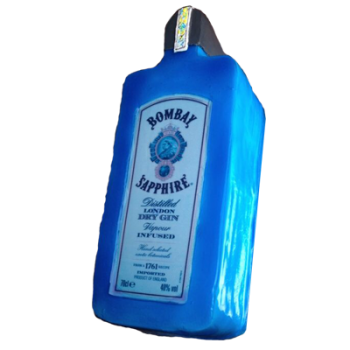 A cake ideal for Bomby Dry Gin Lovers. 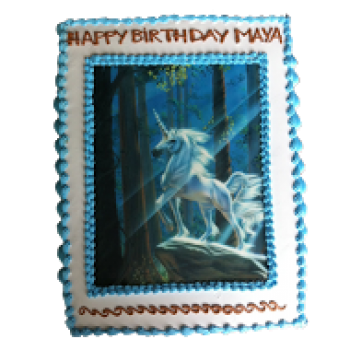 This cake is bottle shaped with whipped cream and gel used for the blue liquid effect icing. 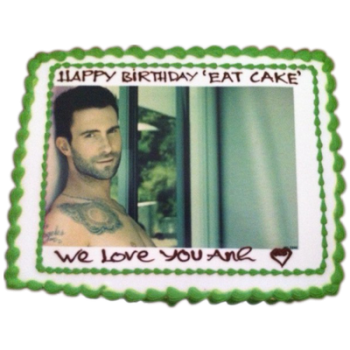 The label is printed on an edible paper. 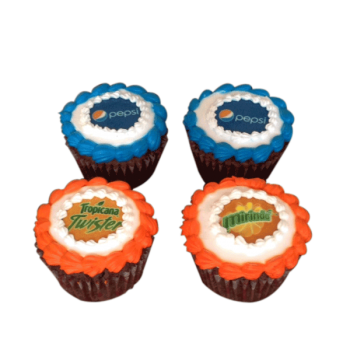 Celebrate corporate events and anniversaries with your team. 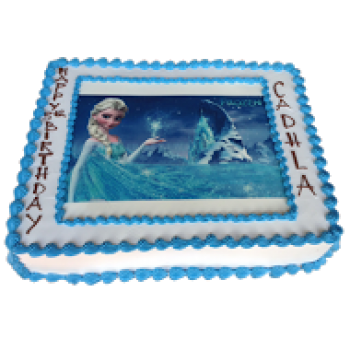 Available in choc chocchip or vanilla & choc chip . 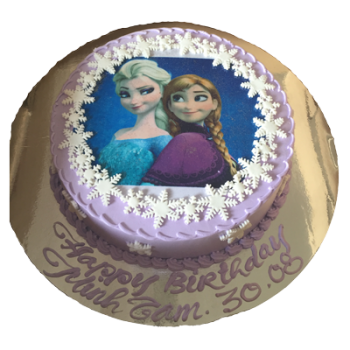 Decoration using fresh whipped cream and fondant snowflakes. 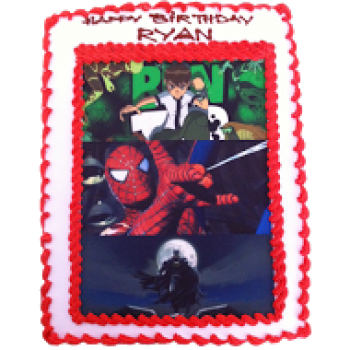 Pictures made of edible paper and edible ink to add realism. 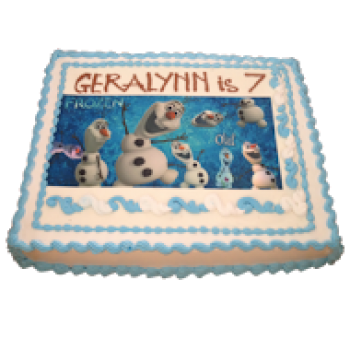 Cream cheese icing is spread liberally over the cake , which is then covered with fondant. 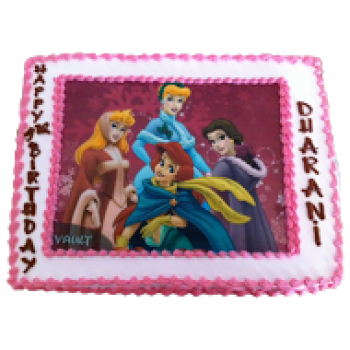 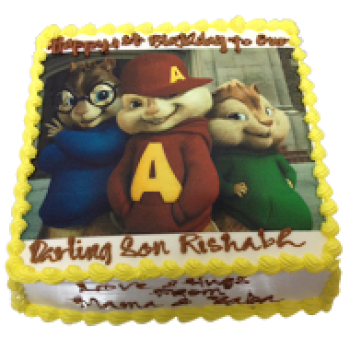 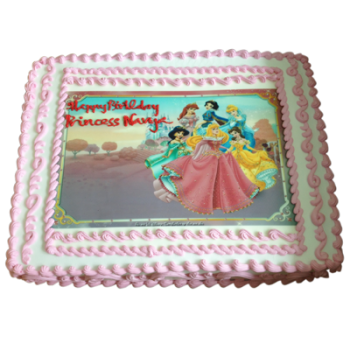 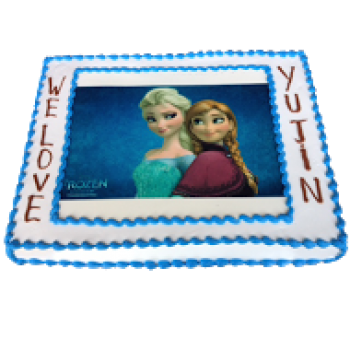 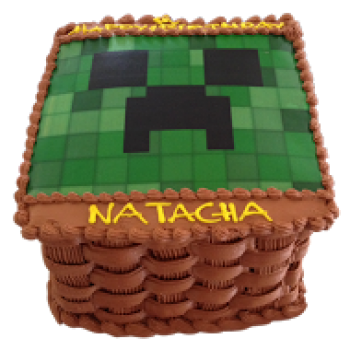 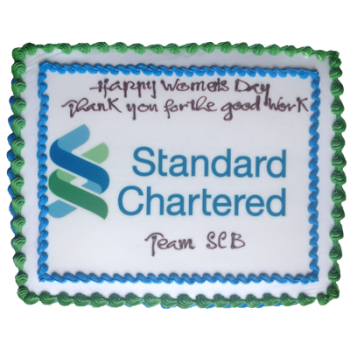 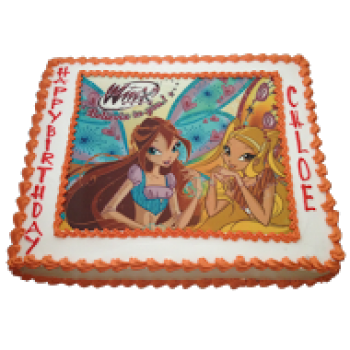 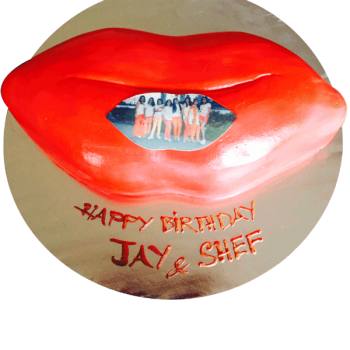 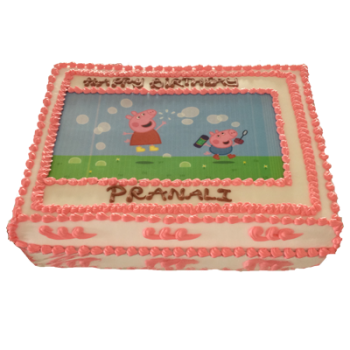 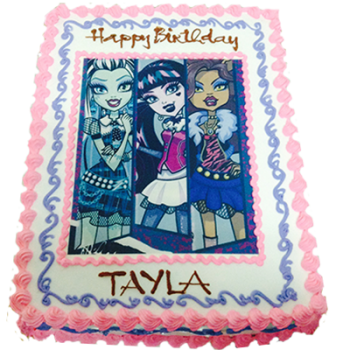 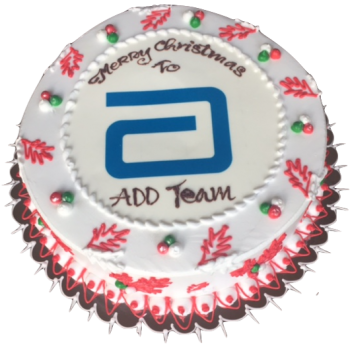 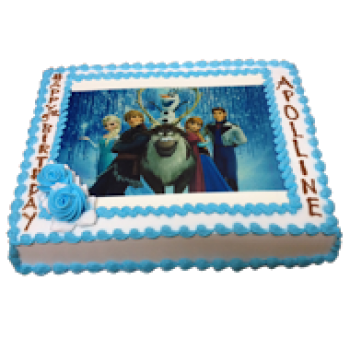 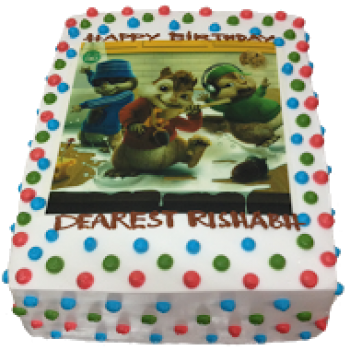 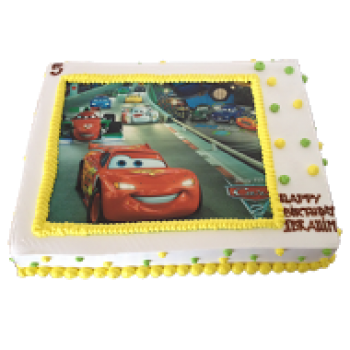 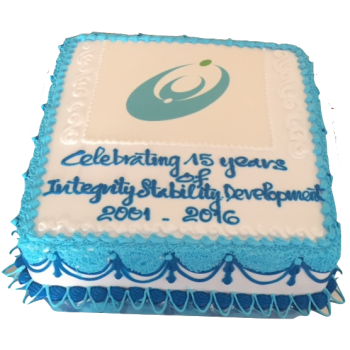 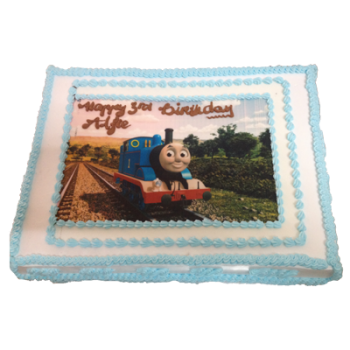 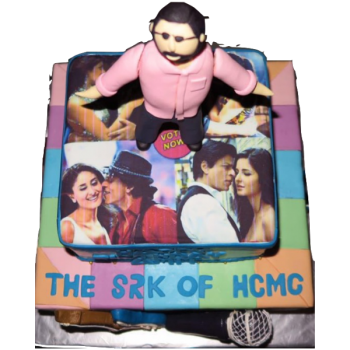 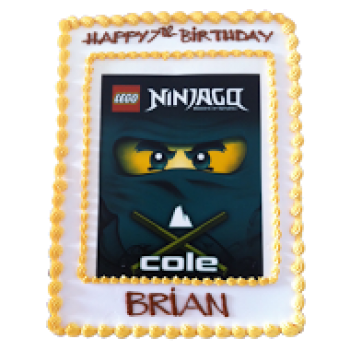 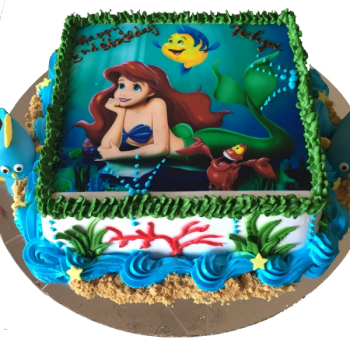 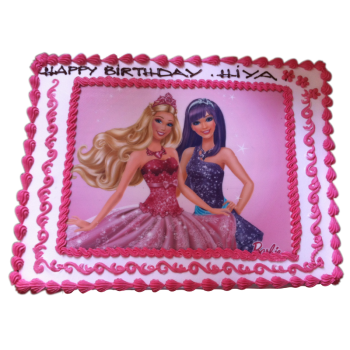 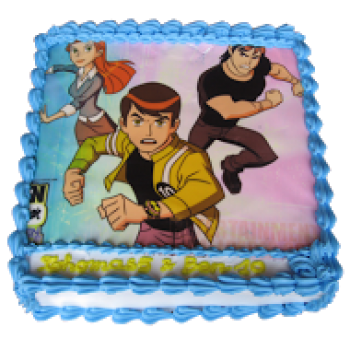 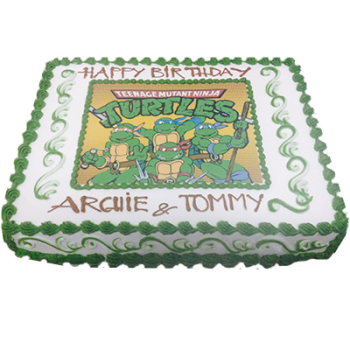 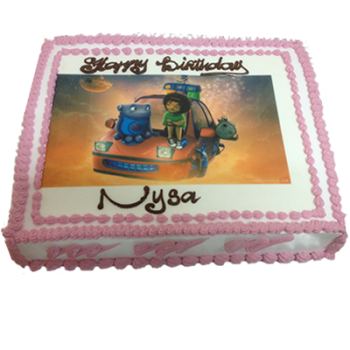 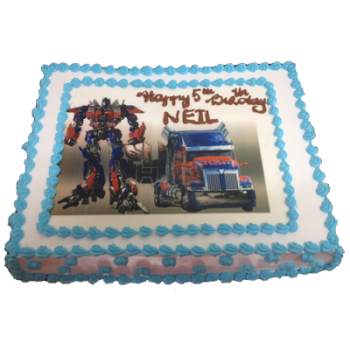 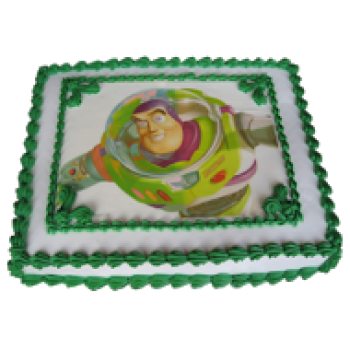 We use a combination of fresh whipped cream, fondant and edible picture to make this cake a special one for your celebration. 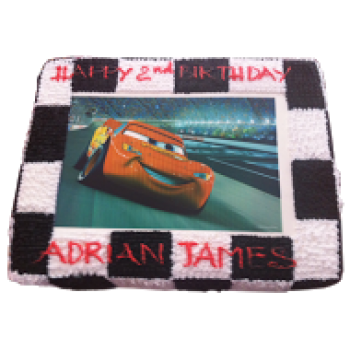 Available in Chocolate Mud or Brownie or Banana & chocolate or Just Vanilla. 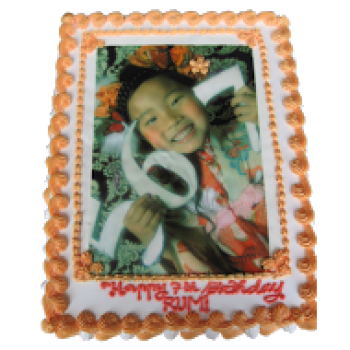 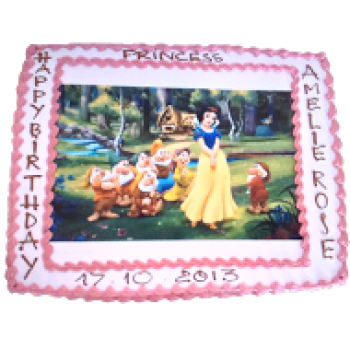 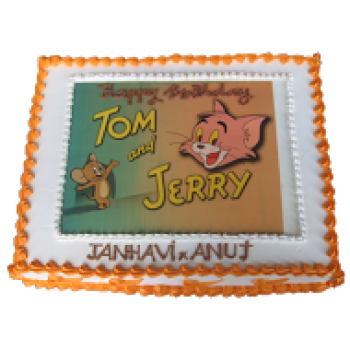 A great way to enhance your celebrations and moments of happiness with a picture on the cake. 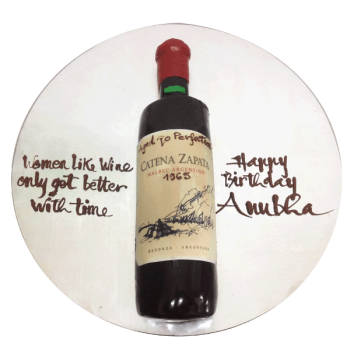 A sleek cake in the shape of wine bottle with edible picture logo. 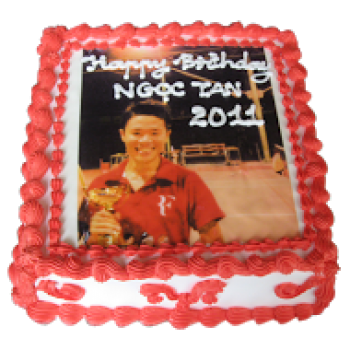 Decoration using fresh whipped cream and chocolate ganache.